Ethical Superstore is 10! What has changed in those 10 years? On 25th October 2006 Ethical Superstore took it’s very first order! It’s hard to believe this was ten years ago and you’ll be surprised how much things have changed in ten years! We thought we would have a look back and pick out a few fun facts and some more sobering statistics from the last ten years. This is how we looked we 2006! Our first order taken from a real customer (not just us testing the site!) was a mix of cleaning products and groceries with a basket consisting of chocolate and crispy rice bars, flapjacks, Fairtrade tea, spaghetti, Divine Chocolate, Ecover surface cleaner and Bio D washing powder. 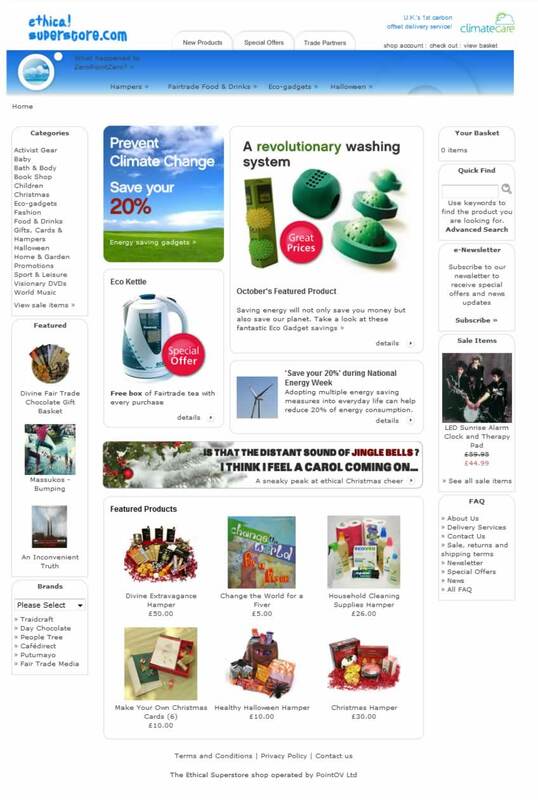 When this customer visited the site they were greeted with a fine looking homepage featuring revolutionary cleaning products from Ecozone and our ever popular Eco Kettles. 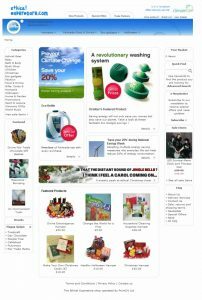 The Ethical Superstore site has changed a lot since then (including a new improved logo!) and last year we switched to a responsive site meaning it was easier to do your shopping on your phone or tablet. Things certainly did look a bit different elsewhere online in 2006, this was the year which Google bought the startup YouTube which had launched the previous year, as you can see it’s changed a little bit! Initially it was to be a dating website, letting you upload an introduction video about yourself, you can actually watch the first ever youtube video called ‘Me at the Zoo’ the idea didn’t really take off, so to make sure there was something on the founders started putting videos of planes taking off and landing, but it was the users who decided what the site would be when they started uploading videos about their holidays, pets and whatever they wanted. In 2006 Youtube was bought by Google for $1.65 billion when it had 65,000 videos online, it now has over a billion videos with 300 hours of video uploaded to YouTube every minute. 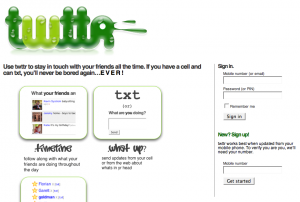 2006 also saw the launch of Twitter. 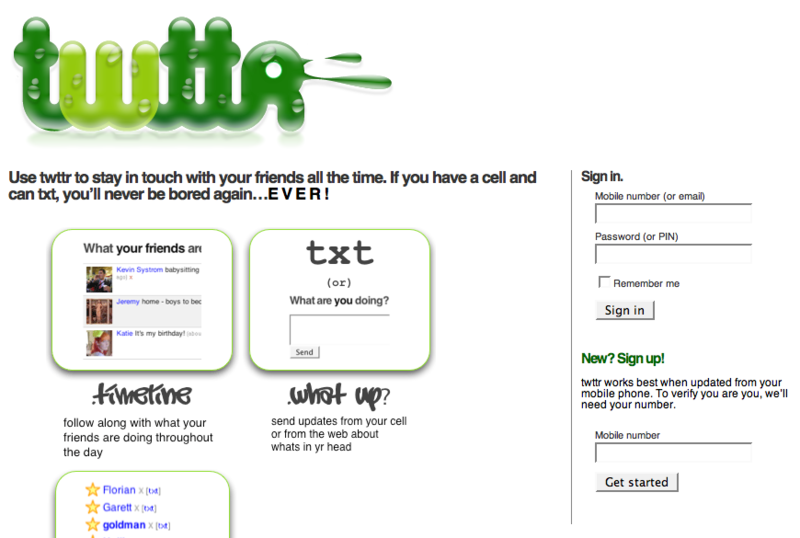 Looks like we managed a better homepage back in 2006! Twitter has since grown massively, with users going up from just 16,000 accounts at the end of 2006 to 320 million in 2016. It took didn’t take Ethical Superstore long to get on Twitter, with our first Tweet in February 2008. since then we’ve done 7,614 and counting! How many websites are there now? If you read some stats back in 2006 they would be telling you how there has been a staggering increase in the number of websites online from 257,601 in 1996 to 85,507,314 in 2006! However back in 2006 when our lovely website appeared the internet was a much smaller place as there are now over a billion websites online! There was controversy when Bond made this return in 2006 with blonde hair! Despite this Casino Royale topped the UK film chart grossing £55.6 million, the film was a ‘reboot’ of the James Bond franchise going back to the beginning of his story with a more gritty serious tone. Since then Bond has hit the cinema screens three more times in Quantum of Solace, Skyfall and Spectre. Interesting fact: The scene was set for the usually Bond car chase, however the chase lasted only 111 seconds as Bond swerved off the road rolling his car seven times, this was the most ever recorded roles for a film stunt. ‘Crazy’ the debut single by Gnarles Barkley became the best selling song of 2006 in the UK, when it was released it became the first single to top the UK sales chart on download sales alone and was at number one for 9 weeks before the record company decided to remove the single from music stores so people would remember it fondly instead of getting sick of it! 2006 isn’t that long ago right? Well nothing dates a movie like the phones they use in it. Back on 2006 when Ethical Superstore was launched there was no such thing as an iPhone or an Android, phones back in 2006 had quaint things called ‘buttons’ touch screens were very rare. Most people used their phones for texting and ringing people, no maps, limited internet, no Snapchat, and no shopping on Ethical Superstore on your phone, there wasn’t anything much more advanced than a game of Snake to keep you entertained! The most popular phone worldwide in 2006 was the Nokia 1600/1650/1661 which had a whopping 4MB of memory. 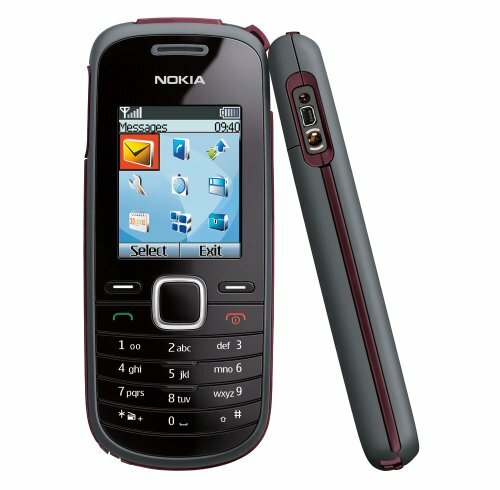 The phone was initially released as a basic phone for people in developing countries but became popular worldwide. If you were into games 2006 was a good year with the launch of the PlayStation 3 and the innovative Nintendo Wii. The controller used motion sensors letting the players take part in tennis matches, boxing and more in their living room but also had the unfortunate side effect of controllers flying across the room through windows or into expensive ornaments! Cars have come a long way in the last ten years in terms of efficiency and now electric cars are becoming a common sight. Tesla have helped make them a more viable proposition with more realistic ranges and ‘ludicrous’ performance, but did you know the first Tesla was unveiled back in 2006? 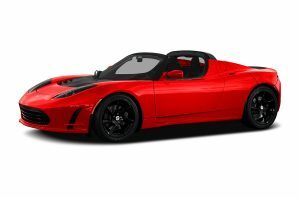 The Tesla Roadster could get to 0 – 60 under 4 seconds and a range of 244 miles! The best selling car of 2006 in the UK was the Ford Focus, fast forward to 2016 and it’s another Ford, although a smaller one at the top with the Fiesta being the most popular new car with the Focus down to 3rd. The most popular electric car is the Nissan Leaf. You probably know Usain Bolt has changed things in the last ten years! 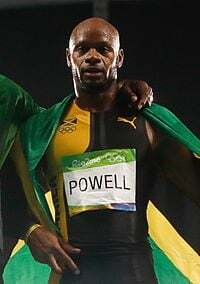 In 2006 the fastest ever 100m was done by Asafa Powell in 9.77 seconds, he set this in 2005 and equaled it in June 2006 with a time of 9.7629 (which was rounded up to 9.77) setting it at Gateshead International Stadium, just down the road from Ethical Superstore’s headquarters! Since then the men’s 100m record has dropped down to 9.58 with Usain bolt setting this in 2009. In 2016 he ran a 9.81 to win another gold medal adding to his total of 9. The women’s 100m record has stood since 1988 at 10.49 set by Florence Griffith-Joyner. Carmelita Jeter has came closest to beating this in 2009 with a time of 10.64. An exoplanet is a planet which exists outside our solar system, belonging to another star. The first confirmed detection of exoplanets was announced in 1992 with two planets found orbiting a pulsar, the first confirmation of a planet orbiting a star was made in 1995 around the nearby star 51 Pegasi. When Ethical Superstore was founded in 2006 around 200 exoplanets known, now in 2016 (as of 1st October) there are 3,532 known exoplanets! 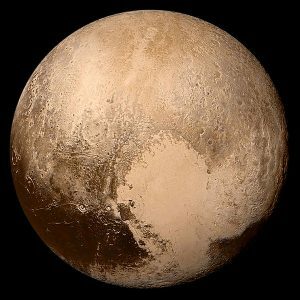 In 2006 Pluto was reclassified as a dwarf planet by the International Astronomical Union, it now sits with four other recognised Dwarf planets Ceres, Eris, Makemake and Haumea in the Solar System however it is believed there may be dozens or even hundreds of dwarf planets far out in the Solar System awaiting discovery. We all know Carbon dioxide is a greenhouse gas, meaning it traps heat in the atmosphere absorbing and emitting infrared radiation. The primary greenhosue gasses in the atmosphere are water vapor, carbon dioxide, methane, nitrous oxide and ozone, without these gases the temperature on earth would be around -18 °C. 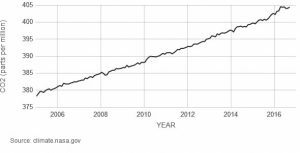 We have seen a 40% increase in the atmospheric concentration of carbon dioxide from the beginning of the industrial revolution (the year 1750) when it was at 280 parts per million (ppm). 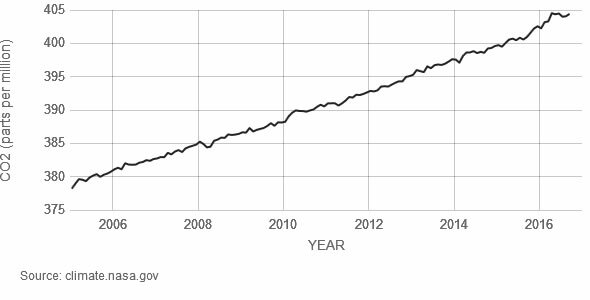 In 2006 this figure was at 381 ppm, despite efforts to reduce this over the last 10 years since Ethical Superstore launched it has not gone int he right direction. The latest measurement is at 404 ppm. The UN’s Intergovernmental Panel of Climate Change (IPCC) says that carbon dioxide concentrations must be stabilised at 450ppm to have a chance of avoiding global warming over 2C which would carry catastrophic consequences. Some good news here! Back in 2006 the UK used a whopping 12.2 billion plastic bags, these bags are typically single use and the majority just end up getting thrown away. Plastic doesn’t degrade like other materials, it can break up (eventually) but it doesn’t decompose the same way as organic material does. Wood, grass and food scraps undergo a process known as biodegradation when they’re buried, which is a fancy way of saying they’re transformed by bacteria in the soil into other useful compounds. But bacteria turn up their noses at plastic. Plastic pollution is also major threat to all marine wildlife with plastic bags and packaging being found in the stomachs of stranded whales, including sperm whales and orcas who often mistake plastic for food. But the good news is that awareness of the problem is on the rise, consumers have been given the option of a ‘bag for life’ for a while and have slowly been reducing the number of plastic bags used, the figure in the UK dropped down to 7.2 billion in 2009 gradually started creeping up again to around 8.5 billion in 2014. 2015 saw a drop to 7 billion, but the vast majority of this drop came as a result of the 5p charge which was introduced in October 2015. In the first half of 2016 the number was down to 500 million plastic bags! This is still of course a big number but massive improvement on 10 years ago. Plastic bags are only part of the story though, our daily lives are cluttered with plastic wrappers which serve no purpose after their single use. If you are serious about reducing your plastic use have a look at the Treading My Own Path blog which has some great information on how to get rid of plastic from your life. You can find out how you can help Whale and Dolphin Conservation (WDC) combat plastics in the sea which can have a terrible effect on marine life around the world. Earth Overshoot Day is the day of the year when humanity’s demand for ecological resources and services in a given year exceeds what Earth can regenerate within a year. In 2006 this day was October 9th, sadly this day in 2016 has not moved back, in fact it has moved a long way forward to 8th August. For our activities to be sustainable at their current levels we’d need 1.6 Planet Earths to sustain us. There has been significant progress in the use of renewable energy, back in 2006 renewable had a 4.8% share of the energy generated in the UK, in 2015 this had increased to 24.8% and is hoped to continue on this upward trend. You may think there is not much you can do to change this, of course you can always try to use less energy to lower your footprint and also save a bit on your bills but there are also options of cleaner energy suppliers such as Good Energy who can provide electricity from 100% renewable sources! Fairtrade has always been a big part of what we do, when we started in 2006 we were the only online store where you could buy a full range of Fairtrade products, we now sell over 1000 fair trade products. The market for Fairtrade products has grown significantly form 2006 with them becoming a much more common sight in supermarkets as awareness has increased and more bigger brands are adopting Fairtrade. 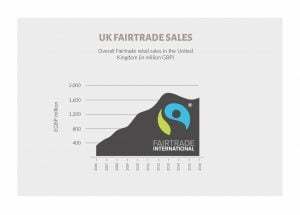 In 2006 the UK Fairtrade market was worth £286 million, in 2016 that figure is around £1,600 million. 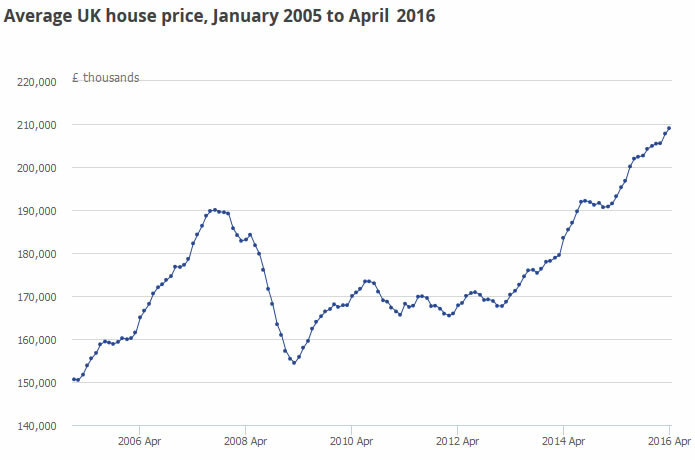 The average house price in the UK has risen significantly in the last ten years from £159,970 at the beginning of 2006 to £205,447 at the beginning of 2016, this is a 28% rise. This is a result of the demand for housing outstripping the supply, it has been estimated that 175,000 more homes need to be built each year to meet the future level of demand for housing, currently around 5% of property transactions involve new properties. The highest rises have been in London and he South East. 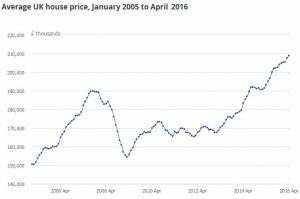 Whilst this may be good for some it has made getting onto the housing ladder much more difficult in 2016. The world population has grown since 2006, from 6.6 billion up to 7.4 billion. You only have to go back to 1800 before the population was less than 1 billion. Predicting the future it understandably difficult but it is likely the population will continue rising putting more pressure on the planet, the UN and US Census Bureau both estimate the population with top 9 billion by 2040.